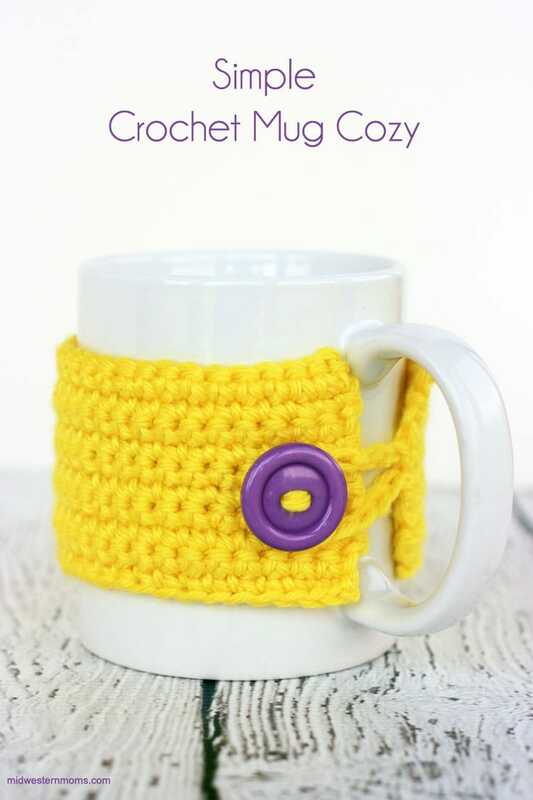 An extremely simple crochet mug cozy pattern to keep your perfect mug of coffee or tea warm. I needed a simple project to work on so I decided to try a mug cozy pattern. 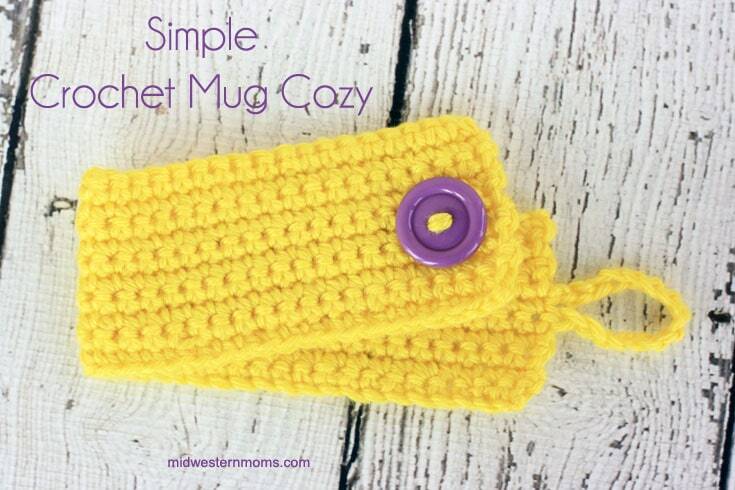 This pattern is rows of single crochets and a cute little button to hold it on to the mug. Row 1: Chain 41. Single crochet in the second chain from the hook. Continue to single crochet until you reach the end. Turn your work. Row 2-5: Chain 1. Single crochet across. Turn your work. Row 6: Chain 16. Single crochet in the first single crochet stitch (this will create the loop). Continue to single crochet across. Turn your work. Row 7-10: Chain 1. Single crochet across. Turn your work. Once you reach the end of row 10, cut your yarn and weave in your ends. Now you just need to sew on your button. You may want to fit it around your mug first to determine where to put the button. This was a fun little crochet pattern and I hope you enjoy it! I recently finished your pattern and was very happy with the result. However, now the corners are starting to curl! I was going to use this pattern as Christmas gifts since it’s so quick and simple, and I’m a beginner. Any suggestions on how to avoid this? Thank you! It could be that you crochet a bit tight. If you need to, you could block them.